A Chicago Vein Expert Asks: Are Varicose Veins Your Weakest Link? Varicose veins may be at the bottom of your list of worries, but to many people they are a huge concern. The saying goes that a chain is only as good as its weakest link, so if unsightly varicose or spider veins are your weakness, it may be time to actually do something about it. Read on to learn how Dr. Ramon Castro, a top Chicago vein expert, can help improve your health and overall wellbeing with simple, advanced treatment methods. How can varicose veins make your life feel less than optimal? You are likely already familiar with the discolored, often bulging appearance that makes varicose veins so unattractive. More than a cosmetic atrocity that develops along the legs, feet and ankles, varicose veins are actually often a type of vein disease. While mostly damaging to a person’s self-esteem, problem veins frequently also cause bothersome symptoms and debilitating consequences if left untreated. Much of the time, the outward signs of varicose veins naturally include the discolored, ropey appearance of the affected veins. Other signs, while not visible to the naked eye, are very noticeable to someone who is experiencing them. These symptoms can include aching, throbbing, burning or itching. Depending on the severity of the disease’s progress, symptoms may include swelling, painful skin ulcerations, and even potentially lethal blood clots. Varicose and spider vein treatment in Chicago can help you regain control of your life. Some of the most popular methods of treating problem veins include minimally invasive procedures such as sclerotherapy and venous ablation, which are two of the most popular vein treatment procedures available today. Unlike traditional surgery, these outpatient procedures improve problem veins quickly and with less pain and hassle. When treating most cases of varicose veins, Dr. Castro turns to endovenous thermal ablation, which is a particularly effective and convenient alternative to outdated vein stripping surgery. This mode of treatment has shown just as effective as open surgical techniques for treating problem veins, but has the added benefit of using local anesthetics instead of full body sedation. Using only tiny incisions, Dr. Castro expertly guides a small vein laser in Chicago into sufferers’ problem veins and uses the specially tuned laser energy to apply a heat seal to the walls of affected veins. Sclerotherapy is considered the gold standard for treating smaller, uncomplicated varicose and spider veins and for cases in which other treatments may not be the best fit for the patient. During this procedure, Dr. Castro utilizes a slim needle to inject a medicinal solution into the affected veins. Although this treatment option is sometimes performed over multiple sessions, each session lasts under half an hour and often provides immediate alleviation of bothersome symptoms. Over time, patients are often delighted to see an improved vein appearance too. This treatment is often applied in combination with other procedures to achieve the patient’s desired outcome. After undergoing treatment, patients frequently find a renewed vigor and a more easy-going outlook towards their veins. Seeking quality care such as that offered by the professionals at Chicago Vein Care Center can allow you to get back to living life more fully. If you are interested in vein removal in Chicago, Dr. Castro and his team are happy to provide a comprehensive venous evaluation and design a vein care plan tailored to you and your goals. 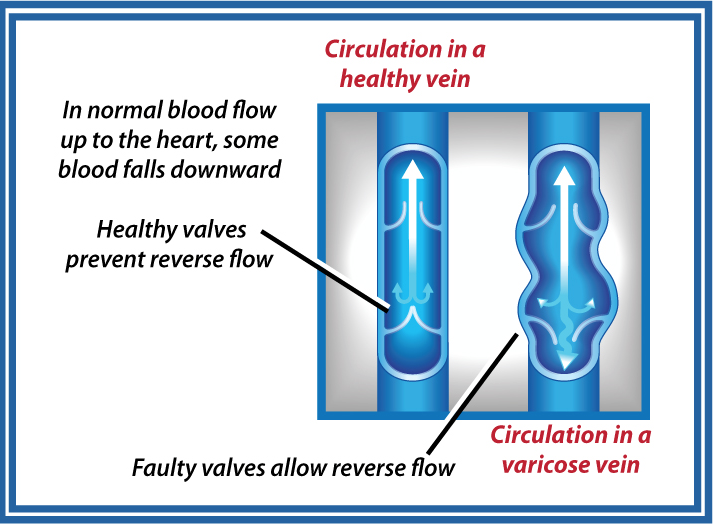 Call our vein clinic in Chicago today at 773-918-2191; 847-865-9949 or learn more by visiting www.yourveinexpert.com.